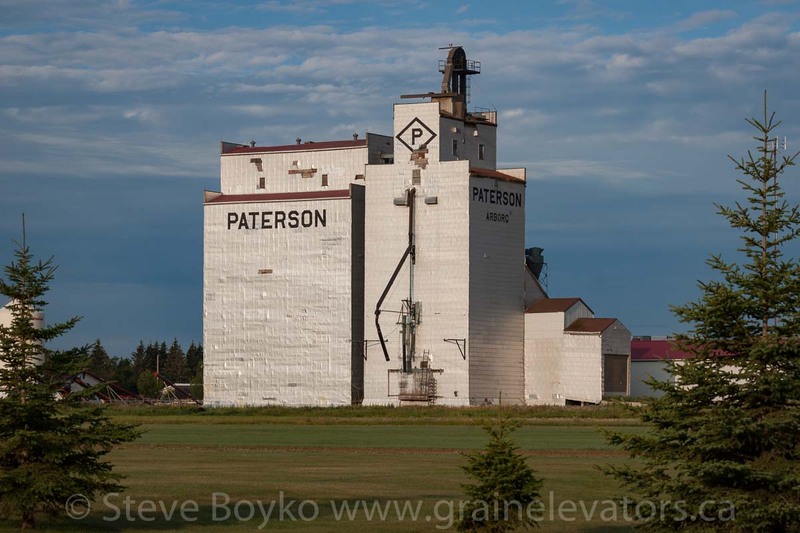 The Paterson grain elevator in Arborg, MB. August 2014. 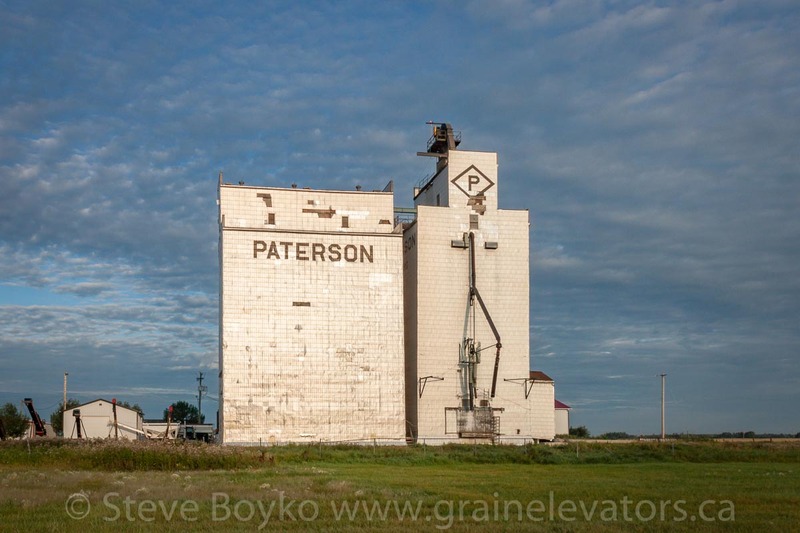 The sole remaining Arborg grain elevator is a Paterson elevator. This elevator is still in operation by Paterson in August 2014. It was built in 1967. Arborg used to be part of the CP Arborg subdivision until that was cut back to near Stony Mountain. The track used to go north through the town to a few hundred feet past the Paterson elevator. A view north on the former railway roadbed. 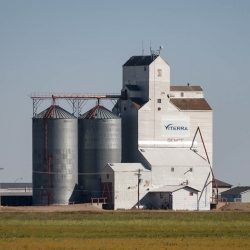 The first grain elevator in Arborg was the Liberty elevator, built in 1922. A Federal elevator was built after that. The first Manitoba Pool elevator was built in 1940. The local elevator association applied for membership in the Manitoba Pool in 1939. In a departure from previous practice, the Pool required the association to commit some of their own funds toward the construction of the elevator, and the association pledged $6,000 and supplied some of the lumber for the elevator. The Pool built a second grain elevator in 1948. The Pool bought the Federal elevator in 1972, which presumably became the “C” elevator. 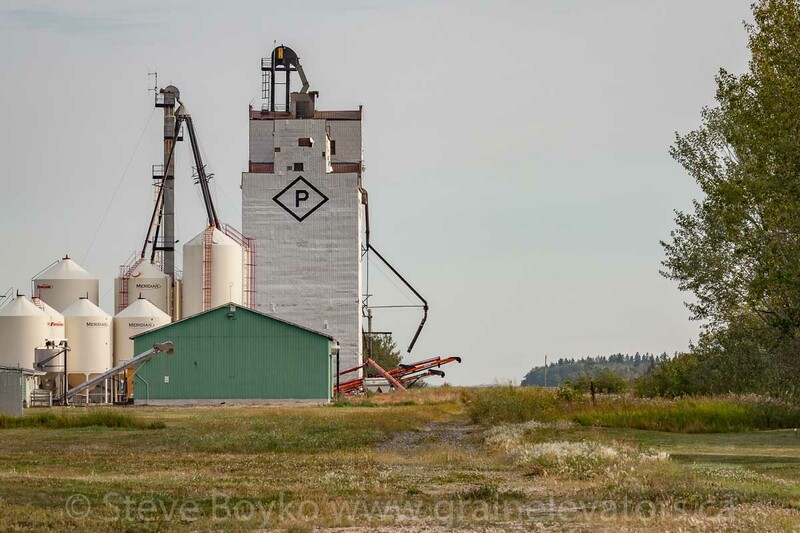 The last Manitoba Pool grain elevator in Arborg (Pool “D”) was built in 1982 or 1983. 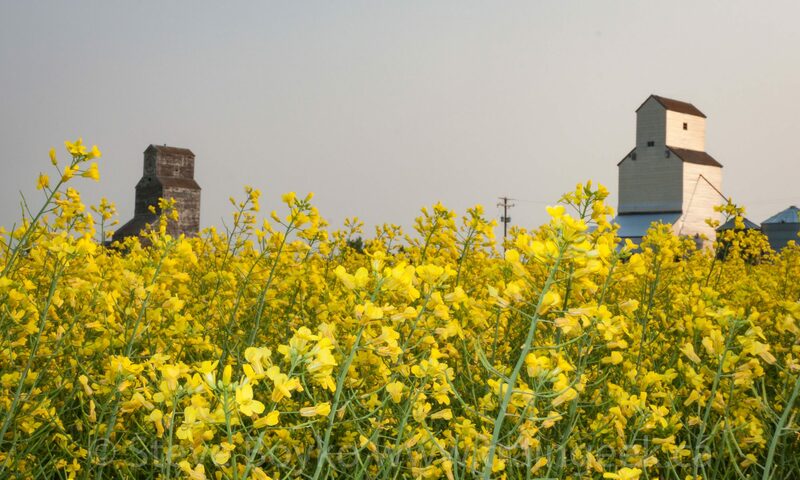 It was demolished in April 2009 despite a concerted effort by local farmers to save it. The Arborg grain elevator. August 2014.